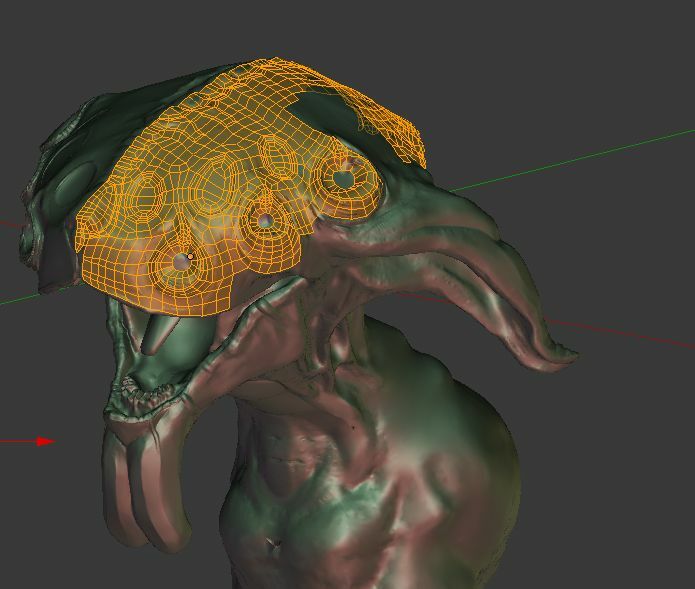 Retopologizing the head right now. I took a one-week painting course with Nana Bagdavazde recently. It was a lot of fun, especially since painting has been very difficult to achieve by since having a baby 18 months ago. My muscles were super-rusty at the start, but by the end I’d figured a lot of ideas out. A big change was realizing that the whole point of oil painting should be how baby-friendly it is! If you’ve got a secured room, you can duck out when your kid’s awake, hang out for 6 hours, and when you go back the palette will still be wet and ready for action. The last picture is my buddy Ike, a work in progress. The amount of it I busted out in very short time made me happy, and highlighted the rust that had been shaken off by the course. Hooray!